What Can Two Factor Authentication Do for You? But these days, passwords are becoming far less effective than they once were. Luckily, a new solution has appeared: two factor authentication. Passwords provide the easiest way to protect accounts and data backups for your business. But these days, passwords are becoming far less effective than they once were. Luckily, a new solution has appeared: two factor authentication. As ubiquitous as passwords are, they’re often not enough. For instance, the password you choose might be too simple to determine and crack. Then again, you could also tend to use the same standard password for every account. While doing this makes it much easier to remember what your password is, it can also make it easier for hackers and other intruders to gain access to your critical information. That’s where two factor authentication comes into the picture. Along with the password, TFA has you verify your identity by providing an item you hold, or your fingerprint or retinal scan. The type of TFA you encounter depends on what needs to be unlocked: accessing work accounts is much different than opening your smartphone’s lock screen. The third parameter is biometrics. These include fingerprint scans, retinal scans, and voice clearance. 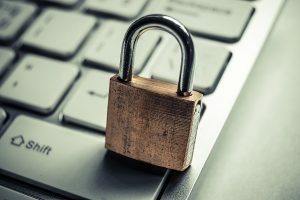 When it comes to implementing two factor authentication for your business, there are a few more things you should know. For instance, there’s a clear difference between authentication and authorization. Authentication is how an app allows access based on your identity credentials. Authorizations, on the other hand, has to do with permissions where you allow third-party programs to access accounts you have already protected with usernames and passwords. That said, even two factor authentication isn’t without its flaws. There is no such thing as a completely impenetrable and invulnerable defense against data thieves and malicious pranksters. The web browsers you depend on can be vulnerable, and you’ll need to exercise constant vigilance so you or your employees aren’t tricked by a clever phishing attempt. This entry was posted on Thursday, March 29th, 2018 at 9:12 am. Both comments and pings are currently closed.